The Cultural Connections Book Club will discuss Charles Mann’s 1491: New Revelations of the Americas Before Columbus on Wednesday, March 18, and Wednesday, April 15 2pm to 4pm. 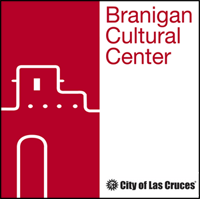 The Cultural Connections Book Club reads works on the cultures and history of the Southwest. 1491 made a stir in 2005 with a new perspective on the cultural diversity of the Americas in the 15th century. We will take two months to discuss this detailed book, which examines the ways that native cultures shaped the natural landscape through the course of complex social, economic, and scientific endeavors. Joins us to learn more about the fascinating cultural patchwork of indigenous America prior to European arrival. Please read 1491 and join us for a discussion of the book on Wednesday, March 18 and Wednesday, April 15, from 2pm to 4pm at the Branigan Cultural Center.